Northgate Academy welcomes transfer credits from other US accredited schools and from schools all over the world. Excel High School will accept transfer credits from other Department of Education recognized, accredited high schools, public schools, charter schools, qualified homeschools, and from accredited International schools that are recognized by a foreign Ministry of Education. Northgate Academy has adopted the following policy for credit transfer. 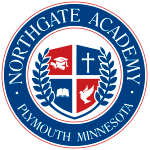 Northgate Academy will accept up to 75% of transfer credits toward high school graduation. This means that regardless of how many credits a student has earned from a previous school, students must to complete a minimum of 5-6 credits at NGA before a diploma will be issued. International/foreign (non-US credits) will be accepted ONLY when verified by Educational Credential Evaluators International students wishing to transfer credits to NGA from outside of the US system are required to have their credits evaluated by Educational Credential Evaluators. Students are responsible to for arranging Educational Credential Evaluators to evaluate credits and have a transcript report forwarded to Northgate Academy. Students are responsible for all fees. Transfer credit reports must be sent directly from Educational Credential Evaluators to Northgate Academy. We do not accept transcripts directly from students. This is the only method by which Northgate Academy will accept credits from other nations. Any questions regarding transfer credits may be directed to the Northgate Academy Office of the Registrar at 800-339-7132.